Our Coil-Over Dampers are the ultimate upgrade to your track or street car. Featuring 32 levels of damper force adjustment, separate spring perch height and shock length adjustment allowing you to retain full suspension stroke and to fine tune your suspension characteristics. These damper kits are then perfectly matched with front and rear Pillow Ball upper mounts, including camber plates integrated with the upper Pillow Ball mounts on strut-type suspension applications. 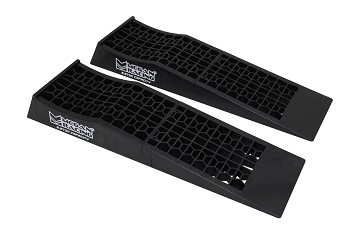 On applications utilizing strut-type suspension designs, these Damper Kits come with fully adjustable Pillow-Ball upper mount camber plates to easily tune and adjust your camber, giving you a competitive edge over other suspension setups. This allows you to tune your car for any ride height and still adjust camber to improve handling, vehicle predictability and tire wear, which is a great benefit both on the race-track and on the street. The quality and durability of the our Damper kits are unmatched. Made of extremely durable Steel and featuring springs that are constructed of SAE-9254 Cold-Wound Steel which are then tested over 500,000 times by compression inspection. With deformation less than 5% and high strength sophisticated surface coating, we stand by our product with our strong warranty. NOTE: Shorter end-links are included for MY11 to account for sway bar positioning at lower vehicle ride heights. Ride height at default settings are approximately 2.5" lower than stock. 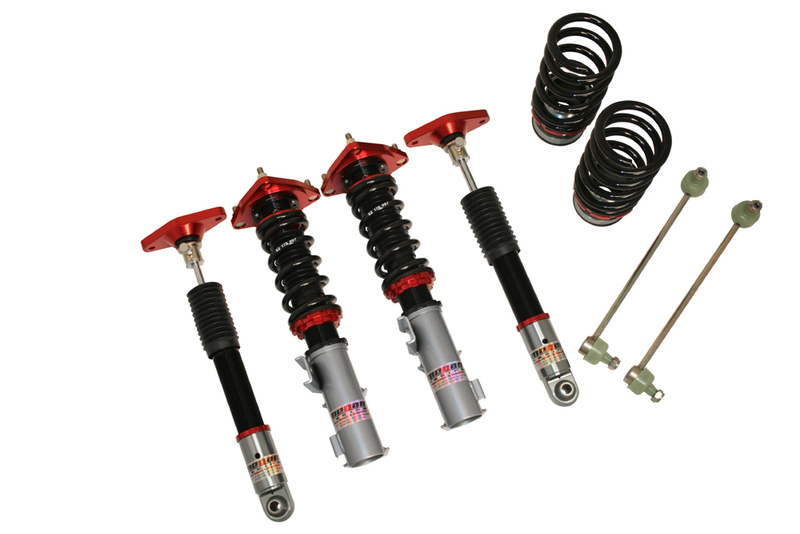 Remember to match shock length after setting rear end ride height according to rear spring.